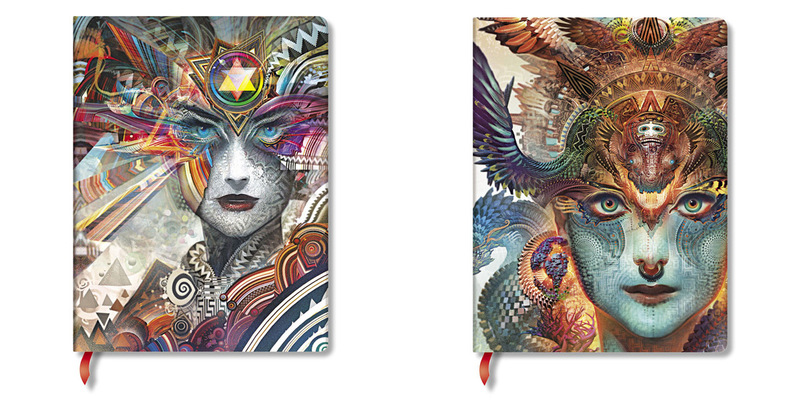 Paperblanks celebrates the work of artist Android Jones with two notebooks highlighting his digital Dharma Art with the works Dharma Dragon and Revolution. 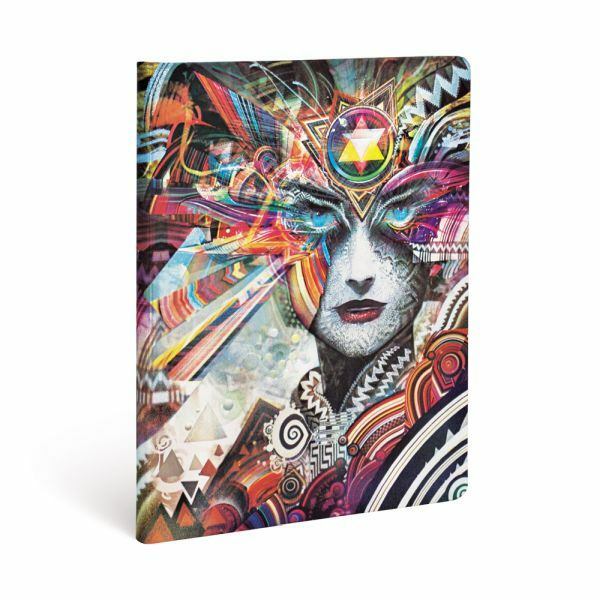 The journals show colors with both psychedelic and hyper modern and imagery that combines Eastern Iconography and science fiction aesthetic. 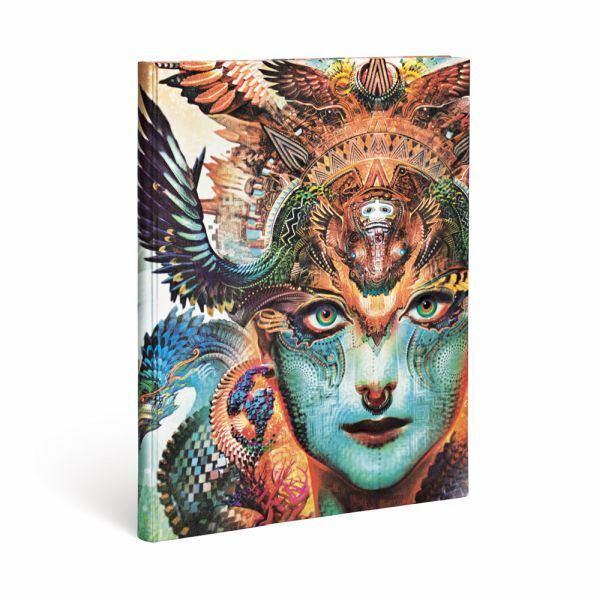 The Paperblanks Android Jones Journals invite you to push the boundaries of perception and awaken to the possibility of your own perception beyond what is directly observed.